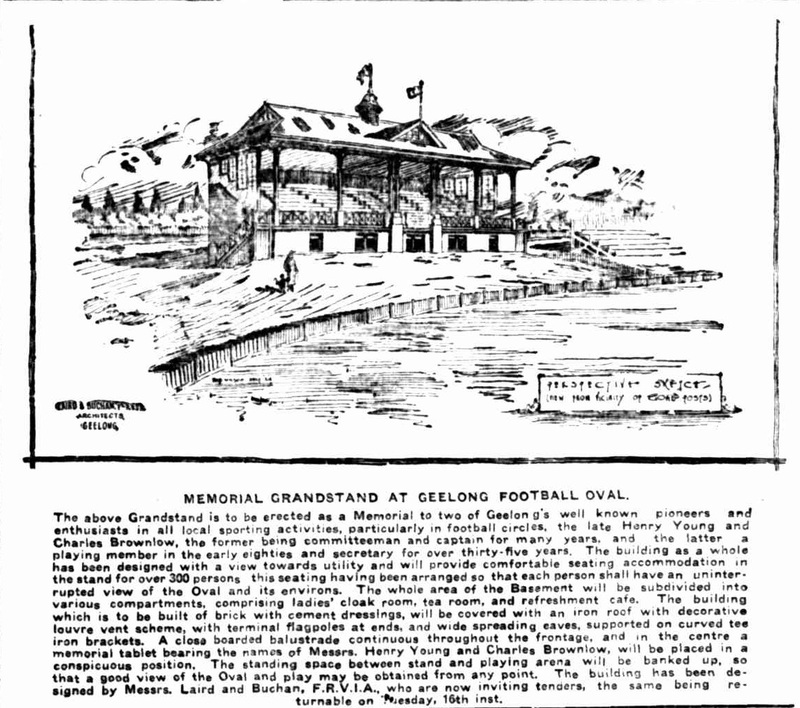 Geelong Home Ground from 1878 to 1940. Also known as the Geelong Cricket Ground. 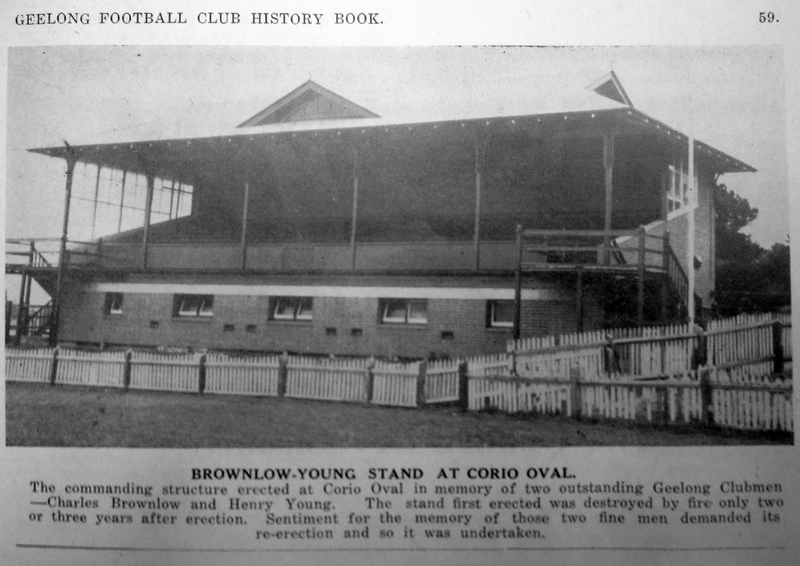 Corio Oval had been Geelong’s home ground since 1878, nearly 20 years before the advent of the VFL. 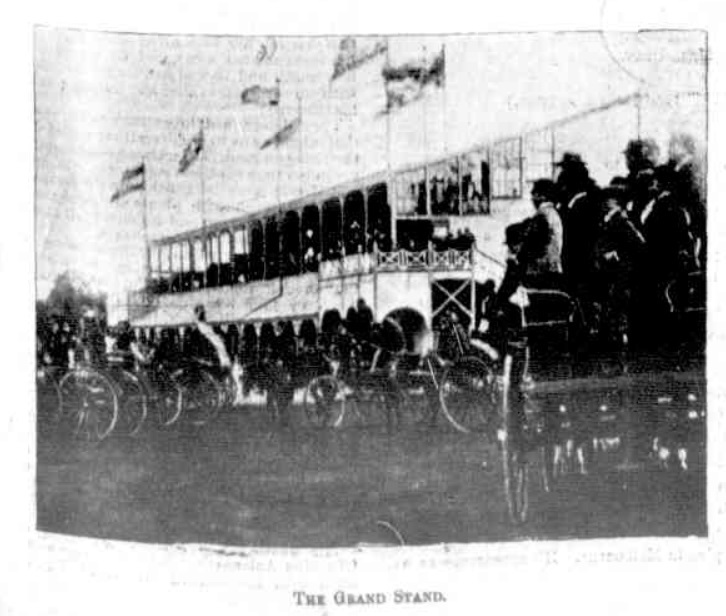 It had been used as a cricket ground as far back as 1862 when a Geelong and District 22 played an all England 11. 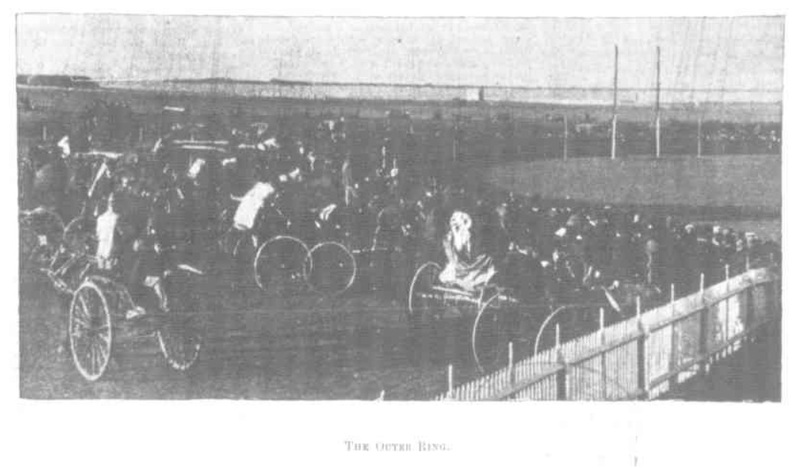 The Oval had been part of the club for 63 years. 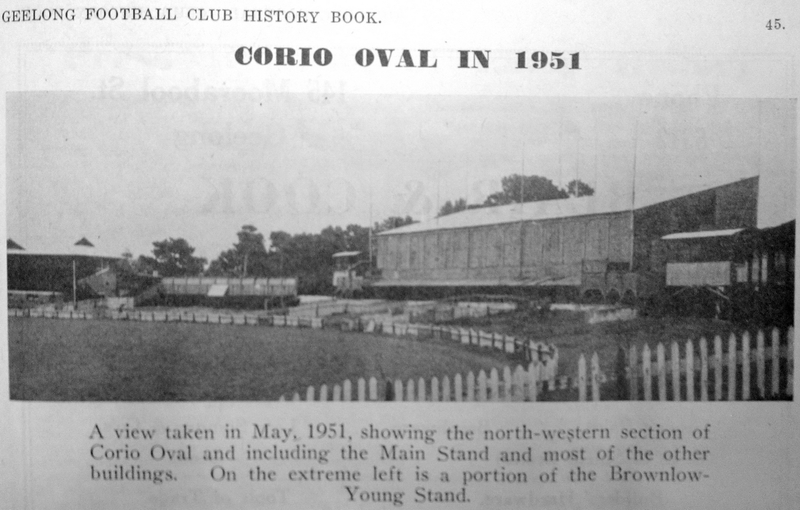 But in 1941, the Corio Oval became the first major VFL ground to be used by the Army. Its use was as a Military Training Camp. 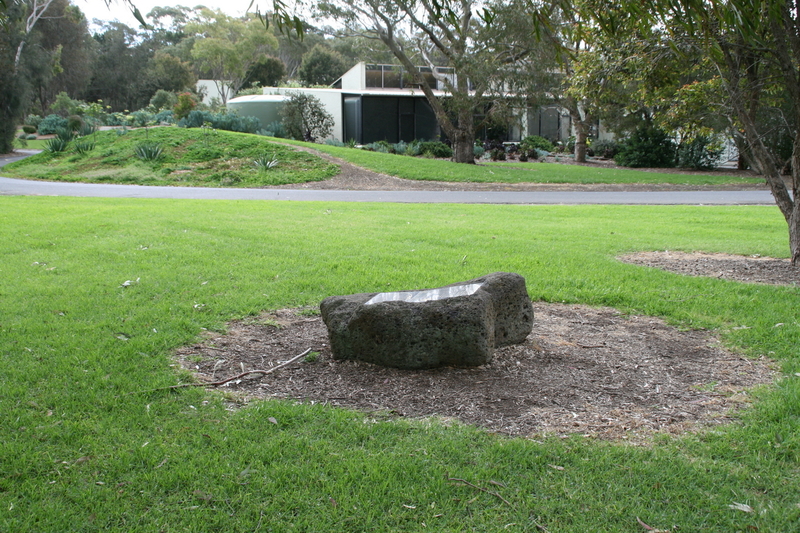 By 2013 the former site for the ground had become the Geelong Convention Centre. Note that the plaque is not that easy to find. 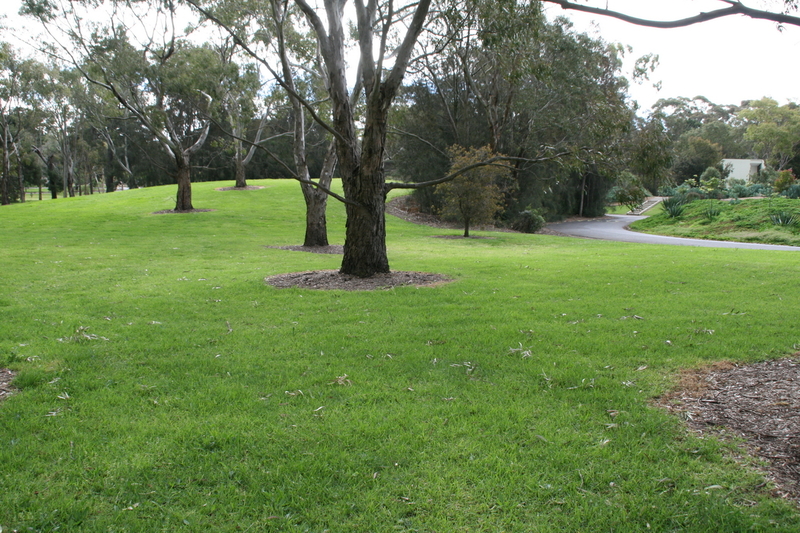 It is situated between the rear of the Geelong Convention Centre and the nearby sporting fields. 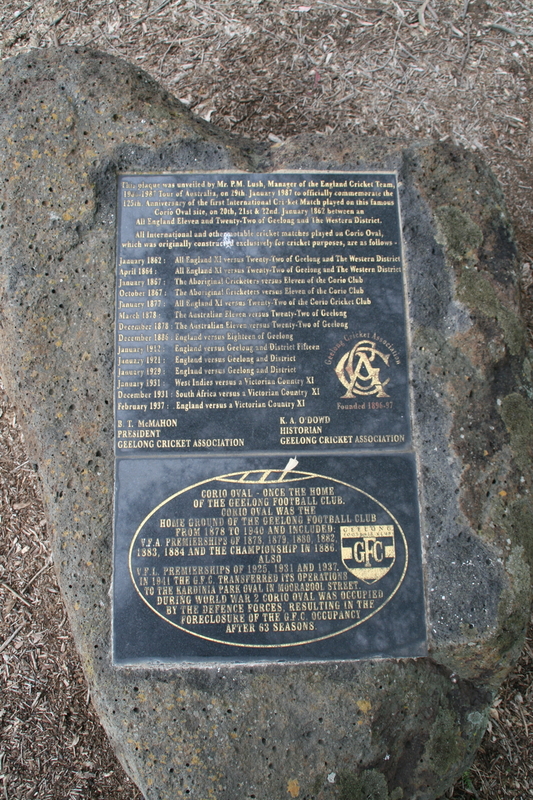 From 1942, other grounds would also be used at various times by the Army, such as the Western Oval (Footscray), the Junction Oval (St Kilda), the Lake Oval (South Melbourne) and the MCG. Geelong had to find a new ground before the season started and so the move to Kardinia Park took place. 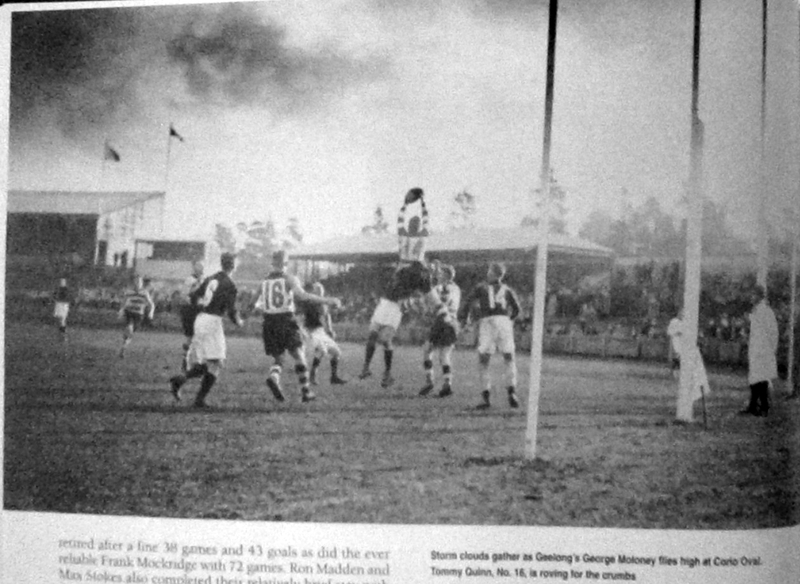 In 1940 the centrally located 16 year old struggling Kardinia Park Oval Committee’s debts had been liquidated by the local Council (Argus 8-Feb-1940 p11) and needed a tenant and became the partner needed by the club, but there would be many costs in transferring to the new base.